Mumbai : With yoga as a tool to empower the world’s youngest population, SARVA is ready to start a movement in India. That of building an inclusive, modern, wellness community that puts yoga and mindfulness right at the center of everyday life. With 91 studios across 34 cities in the country, an ambitious brick & mortar expansion plan and innovative digital solutions, SARVA wants to change the way India looks at mental and physical fitness. 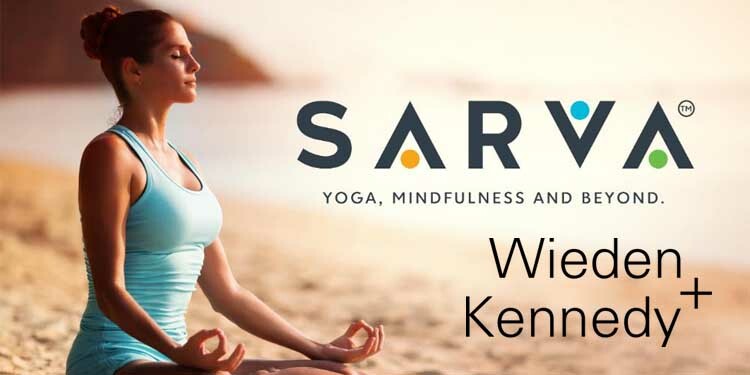 To help them realise this vision and take their brand and business forward, SARVA has appointed Wieden + Kennedy (W+K) as their Brand Strategy and communications partner. “We felt that W+K understood our ideology, were aligned with our values, and their track record in shaping brands and giving them a role in culture is second to none. Like what they did for women and sport with Nike’s Da Da Ding. They also created brand IndiGo from scratch by positioning it as a cool, young airline designed for the modern Indian traveler. With a unique brand voice, IndiGo became the new benchmark in Indian aviation. With SARVA – yoga and mindfulness, we hope this partnership will achieve a similar effect,” Sarvesh Shashi, CO-Founder & CEO, of SARVA shared.